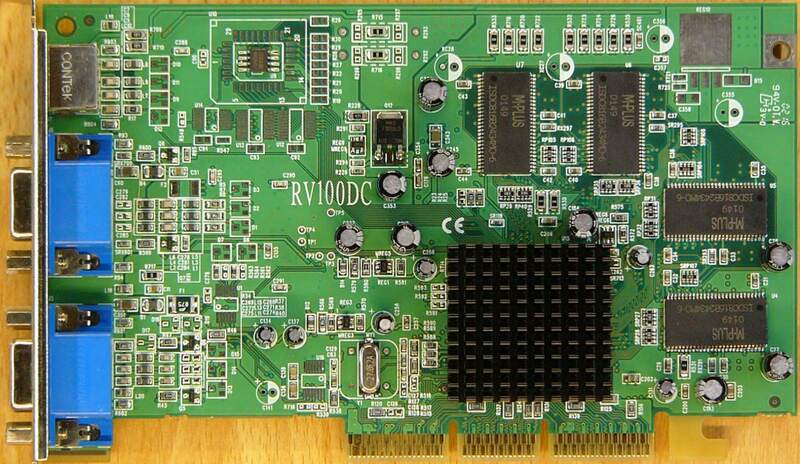 Radeon VE chips with only one pipeline were called Radeon RV100, Radeon VE and later Radeon 7000. 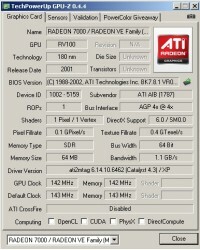 There is also Radeon 7000 with 32MB SDRAM for Asian markets. 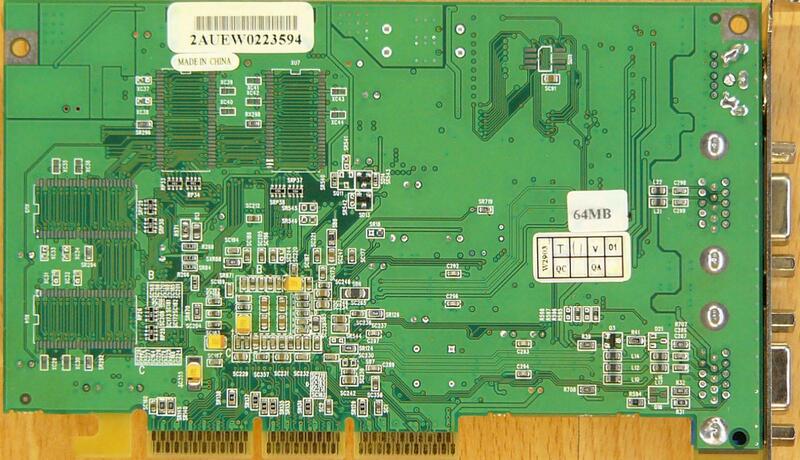 Most cards have only 32MB SDRAM memory. 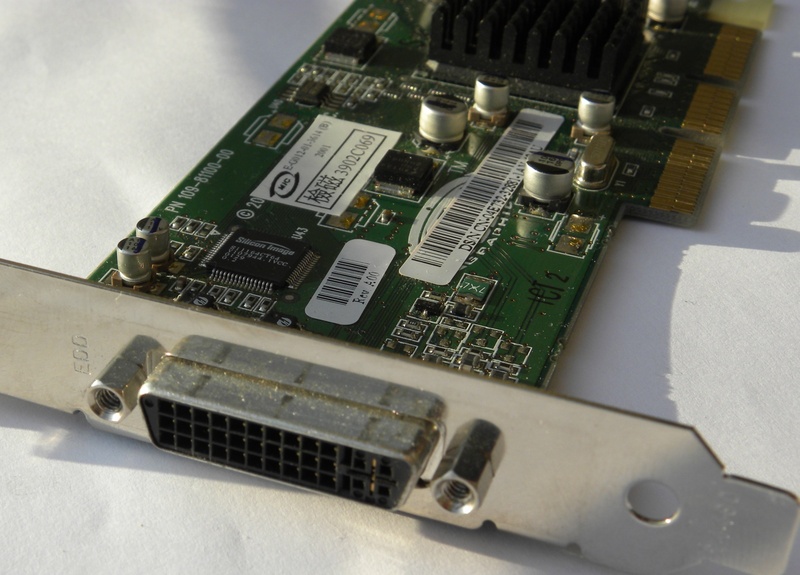 HIS Radeon VE 64MB DualHead - Card has two VGA outputs with Hydravision support and 64MB DDR RAM. 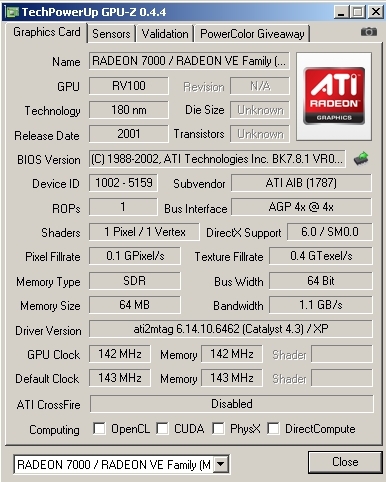 ATi Radeon RV6DL-A3 - Card has DVI-I output, 32MB DDR memory and GPU is clocked at 150MHz, memory on 300MHz. 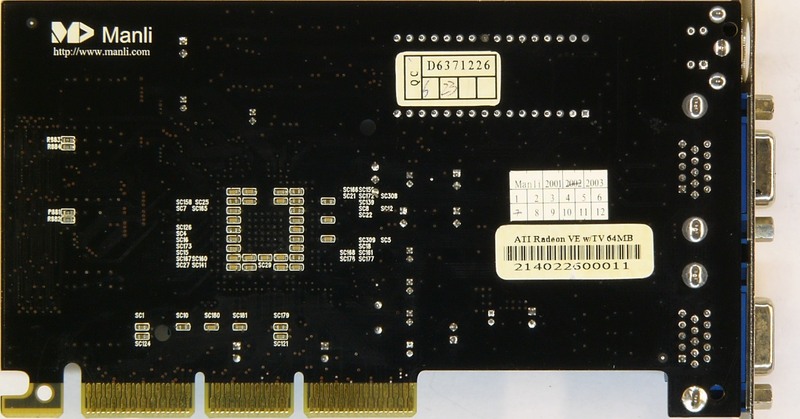 Card is low-profile. 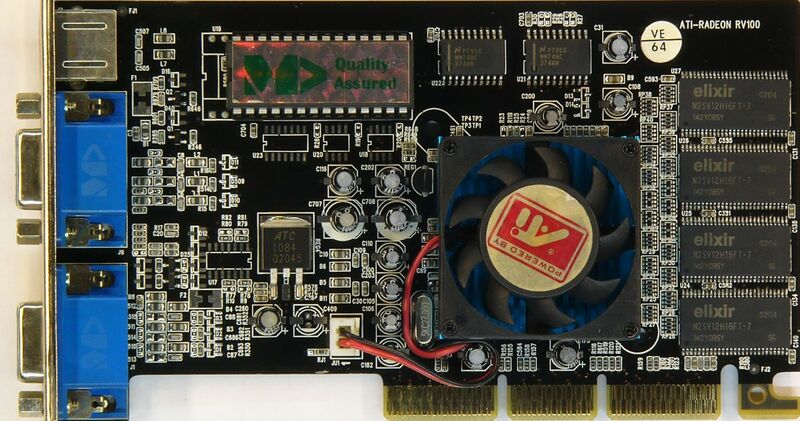 ATi Radeon VE EDD - Low-profile card with 32MB SDR memory and EDD video output.